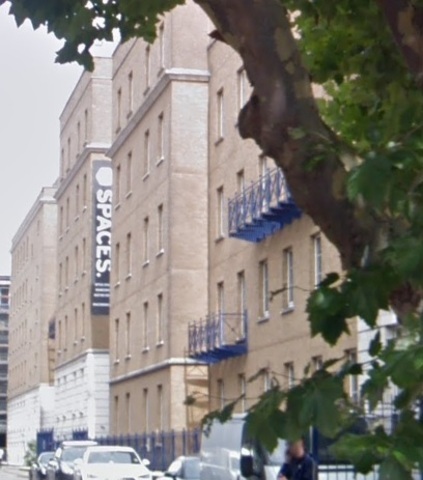 A North Laine office canteen’s plans to sell alcohol has sparked objections from concerned neighbours. 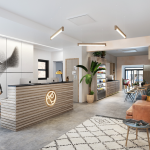 Caterer NSK Foods Limited operates Soul Deli Brighton on the ground and sixth floors of Mocatta House in Trafalgar Place, Brighton, an office building which is open 24 hours a day. It has applied to Brighton and Hove City Council to sell alcohol from 7am-11pm every day, although it says it will generally sell from 8am-8pm and only occasionally use the 11pm option for corporate events and launches. Three neighbours, the North Laine Community Association (NLCA) and Green Councillor Lizzie Deane, have all written to oppose the plans. In her letter Councillor Deane points out the application is in the city’s special stress area (SSA) which means there are concerns about the relatively high levels of crime and disorder and nuisance experienced within the area. She said: “Local residents have suffered, and continue to suffer, excessive levels of alcohol induced crime and public disorder. “The area has an already existing high concentration of alcohol outlets, which has a direct effect on crime levels and antisocial behaviour. In their letter of objection, joint coordinators of NLCA licensing Sandy Crowhurst and Roy Skam pointed out the organisation opposed a similar application in September 2017. That application, from Platf9rm co-working space in North Road, was refused, in part because the applicant did not turn up to the meeting. The letter said: “We question why an alcohol licence is necessary in a place of work from 7am to 11.30pm. “Trafalgar Street, and the streets leading from it, is particularly busy late at night as it is the main street leading to and from Queens Road at the top, and London Road at the bottom. The licenced area is the ground floor, the location of the refectory and deli, and the roof area which is used as a social and events area during the day and evenings. In the applcation NSK state there is no sign of the refectory outside the building. It also states the roof terrace is on the sixth floor and higher than most of the buildings in the area, and that it will generally be open during the day when there is lots of background noise. After discussions with Sussex Police licensing officers, NSK agreed to add a no off-sales restriction to their plans. The application goes before the council’s licensing panel on Friday, 21 September.